Just bought your EasySocial App for NorrCompetitions. Just installed and started testing. I noticed that all of the Language strings are not showing correctly. Sorry for that, package was build incorrectly. Please download one more time and install - language files should be present now. The new package sorted out the language issues. Hope you have sorted this out Happy Holidays! I added it as inline css. Not ideal for future updates tho. 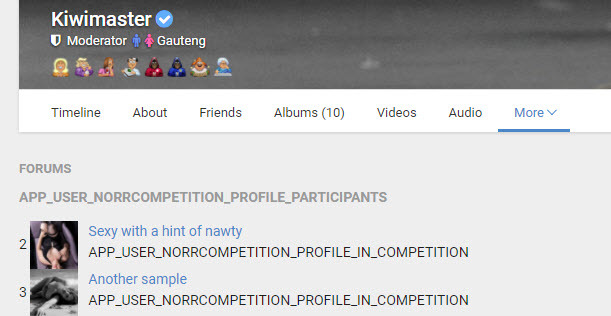 Wouldn't it be better to add a proper CSS file to the NorrCompetitions app (assets/styles/style.css) rather than relying on another app (Kunena) to be present?